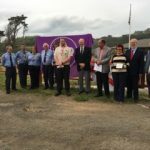 On 8 June 2017 at 7pm, JHSG were delighted to be able to present a Defibrillator Cabinet to 1st Jersey – Scouts Association, St Ouen’s Mill, 5 Mile Road, St. Ouen. 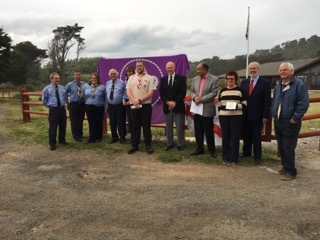 Members of JHSG were joined by scout leaders and Parish officials at the presentation of a robust and striking cabinet which benefits the Scouts Association and the closer community. club – the Jersey Badminton Association. 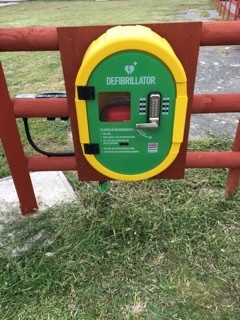 The AED will be placed in the Gilson Hall. 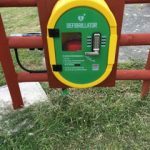 On the 21st March 2017, we were overwhelmed to be presented with a cheque for £5,000 by Nedbank Private Wealth Management, to help with our current projects, which include providing Defibrillators and outdoor cabinets where best required in the island.